So far in our review of what makes an eye-catching proposal, we’ve looked at the Title Page, the Table of Contents, the Synopsis, and the Author Bio. Today, we’ll review Character Sketches and the Backdrop. As previously mentioned, editors and agents might offer different guidelines for their proposal’s components or they might have the components listed in a different order. Always ask for their guidelines before you spend much time writing your proposal for a specific request. However, I think it’s a very good idea to get a proposal ready with the basic components as soon as you start working on a new fiction manuscript. It’s much easier to tweak a 60 plus-page proposal than start from scratch, especially if the editor or agent wants the proposal ASAP. Below I’ve included samples of some character sketches and backdrop. The character sketches are “sketchy,” which might be adequate for some editors, but for others, might not be. Perhaps they’ll request a full-page sketch of the main character or a few of the secondary characters, as well. So be prepared and give the editors what they want. Louellen Bidleman Friesen – twenty-five-year-old Amish woman unhappily married to Eli Friesen, a mid-twenties Amish man. 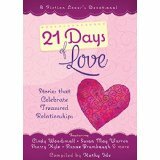 Louellen feels trapped in her life for two reasons: she craves love from her husband, which she is not receiving because she can’t give him children, and she is questioning her Amish roots and belief system, which leaves her empty and with no assurance of God’s love or her eternal destiny. Louellen is a beautiful woman, slender with long wavy auburn hair, green eyes, and a rosy complexion. Eli Friesen – mid-twenties six-foot-tall Amish farmer with thick, brown wavy hair, dark brown eyes and curly eyelashes. Eli is a troubled soul, who publicly fits into the Amish mold but in his heart questions his Amish beliefs and longs to know God more intimately. Eli also guards another secret well that only he and his medical doctor know – Eli is the reason he and Louellen have no children, but his pride and bitterness cause him to resent Louellen and ignore her longings to have an intimate emotional relationship with him. Dr. David McAndrew – 40 years old; gentle brown eyes, wavy blonde hair, tall, and handsome; doctor of obstetrics; not a Christian; bitter at God for taking his wife; performs abortions; finds himself romantically attracted to Louellen Friesen. Andrea McAndrew– 18 years old; blonde hair, brown eyes; slender; interested in spiritual matters but doesn’t tell her father because of his bitterness toward God; would love to see Louellen and her father get together; a freshman in college. Jenna McAndrew – 16 years old; blonde hair, brown eyes; slender; interested in spiritual matters but doesn’t mention it to her father; would love to see Louellen and her father get together; a junior in high school. Cheryl Whentfield – 32 years old; RN who works in obstetrics with David; divorced with two boys, Brent, 15, and Conrad, 13, and would like to connect with David; deep blue eyes, long styled black hair (bottled because of premature gray); shapely and very attractive; wears make-up fashionably; not a Christian. In an Amish/Mennonite fiction novel, in which family is so vitally important to the storyline, it is expected that you would include the family members of the main character. However, in most other subgenres, the editors would probably not ask for such detail. Next time, we’ll discuss the last components of a good proposal: the Sample Chapters (or the entire manuscript), Marketing Information, and the Date of Completion. 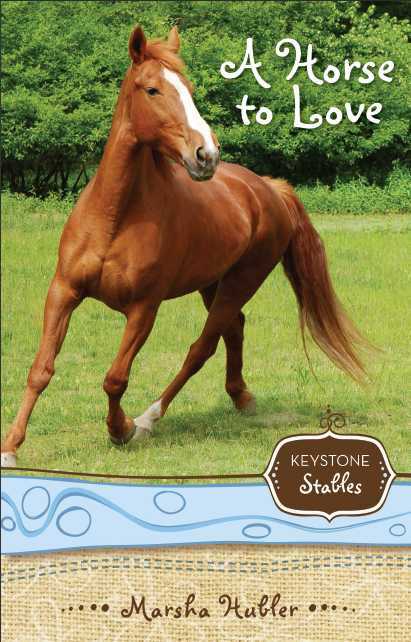 Foster kid Skye Nicholson hates everyone and everything until she meets gorgeous show horse, Champ. In my last blog, I started sharing information about writing an eye-catching proposal. If you scroll down to the last blog a week ago, you’ll see the first two parts of a proposal, the Title Page and the Table of Contents. As previously said, publishing companies have different guidelines stating what they’d like to see in a proposal, so if you ever get the letter that requests a proposal, be sure to ask for their guidelines if they haven’t already offered them. Twenty-five-year-old Amish Louellen Bidleman Friesen finds herself falling in love with forty-year-old English man Dr. David McAndrew, a widower with two children, for whom she cleans house regularly in Mapletown,SnyderCounty, centralPennsylvania. There’s only one problem. Louellen is already married. Three years prior and well past the “marrying age,” Louellen Bidleman had wed Amish man Eli Friesen, mostly because of pressure from her family. Eli, also in his mid- twenties and “passed over,” had married Louellen for one main reason, to have sons. Louellen tries desperately to love Eli, and because of her church vows, sets out to be a proper wife and good mother when God blesses them with little ones. However, after three years, there are no children. Louellen is devastated, and Eli becomes bitter, feeling trapped in a marriage that has produced no offspring, even though he knows that he has the medical problem, not his wife. Although he treats Louellen civil in public, at home he emotionally detaches himself from her and ignores her needs. Because divorce is forbidden, Louellen tries to be submissive while Eli snubs her, goes about his farm business, and struggles to show her any love at all. Besides keeping her family life “private,” Louellen also hides another secret that would cause her family great shame: she loves music and ever since she heard beautiful piano music played at the McAndrew household, she has had the desire to learn more about the “instrument of evil” and, perhaps, learn to play it herself. Unknown to either of them, both Louellen and Eli have great doubts about the Amish faith in which they’ve both been reared. Deep in their hearts, they question the legitimacy of a religion that does not afford them an intimate relationship with their God, a relationship they both desperately want and need. Also, while questioning the bishops’ and elders’ control over church members with long lists of restrictions and “forbidden pleasures,” they long to have the assurance that they are destined to heaven when they die, an assurance that is not present in the Amish Ordnung to which they belong. Louellen’s housekeeping “boss,” 40-year-old David McAndrew, a surgeon, at one time considered himself religious. But when his young wife dies of cancer, leaving him to rear two children on his own, he turns his back on God. His two children, Andrea, now eighteen years old, and Jenna, now sixteen, are not “religious” in any way, but both girls have an interest in spiritual things, a desire they keep hidden from their father because of his bitterness against God. Andrea attends the local community college where she is majoring in music. Jenna attends the local high school as a sophomore and is thrilled about getting her driver’s license. David finds himself falling in love with Louellen and begs her to leave her husband. He showers her with attention in his home, treats her like royalty, and buys her expensive gifts that she can’t take home with her…. Marsha Hubler has had a background conducive to effective writing. She has a master’s degree in education from Bloomsburg University, Bloomsburg, PA, and has been an educator for forty years. She has co-founded two private schools,Kreamer Christian Academy, Kreamer, PA, and the Bethesda Prep School, Milton, PA, and had served as teacher/ administrator in each. She presently works with homeschoolers in her home in Middleburg, PA, (50 miles north of Harrisburg in Amish/Mennonite country) where she lives with her husband and two dogs. Marsha has been a foster parent and has owned horses. She also has numerous opportunities to speak at ladies’ events, schools and kids’ clubs, and at writers’ conferences. Marsha has always had a deep desire to write, but teaching and caring for foster children and horses had allowed little time to pursue her dream passionately. However, since 1990, she has had some success with published articles, children’s stories, and poems. In 2000, the door opened for her to write books. Three years later she had her first book published, a ladies’ Bible study guide entitled DRAW ME CLOSER, LORD by Regular Baptist Press, Schaumburg, Illinois. 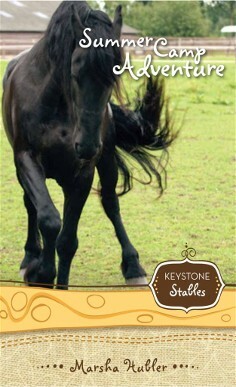 Marsha is most excited about her Keystone Stables Series published by Zonderkidz. 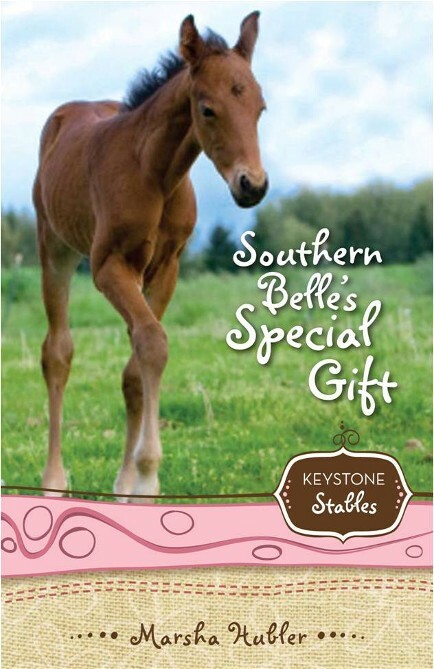 The eight girl/horse fiction books for tweens, released since 2004, deal with heavy issues such as juvenile delinquency, death of a close friend, foster care, and special needs children. The books have been well received, the first one in the series considered a best seller. Because of the series’ success, Zonderkidz redesigned the books’ size, cover, and titles, and Marsha wrote 20 extra pages of back matter that are addressed to her fans. Books seven and eight were released in the spring of 2010. The same year, Marsha released two other stand-alone juvenile fiction books, RICKIE RIDES TO THE RESCUE and THE SECRET OF WOLF CANYON. In 2006 a contract with New Leaf Press from Green Forest, Arkansas, has resulted in a helps book for parents entitled WE’VE DECIDED TO HOMESCHOOL. NOW WHAT? The book was released in September of 2007. Living in a heavily-populated Amish/Mennonite area of PA and personally knowing folks from these religious persuasions have motivated Marsha to try her hand at contemporary Amish/Mennonite romance for adults. With her familiarity with the Amish/Mennonite lifestyles, Marsha believes she can accurately portray the sects’ beliefs and lifestyles factually in a fiction setting. To this goal, she writes. Well, there you have the third and fourth components in a good proposal. Work on your synopsis with no dialogue. Write it as if you were writing an article for a newspaper. Use description and narration, and make it short. And for your bio, make that even shorter! What the editor or agent is looking for is how well you can write, and he/she will get a good taste of that when you include your first three chapters. Next time, we’ll discuss Character Sketches and Backdrop. who most folks believe doesn’t even exist. Then she actually touches the horse, and her life is changed forever. There’s nothing more important than learning how to write an eye-catching proposal. In the next few blogs we’ll analyze the components of one of my proposals. The latest one I wrote went to an agent after I tweaked it to her specs. She liked what she saw and offered to submit my Amish fiction series to publishers. So, let’s get started with some vital information every writer needs to know to be able to introduce himself/herself professionally to an agent or an editor. Now, these ten components are not set in stone. Editors and agents have different guidelines for proposals. If you get that email or letter giving you the initiative to proceed with your proposal, the agent or editor should offer his guidelines for the proposal. If not, then ask. Sometimes, these components will be in a different order or several might not even be included in that agent’s or editor’s proposal specs. So there you have the start of a proposal that just might catch the editor’s eye. Next time we’ll look at “About the Author” and some character sketches. If at any time in this proposal journey you have questions about your own proposal, please don’t hesitate to email me at marshahubler@wildblue.net . of a mare who just gave birth. If you read my last blog, you might’ve gotten a chuckle from several points in my “writing like a beginner” list. However, I believe all writers at one time or another have experienced one or many of these strange encounters of the fourth kind in their writing careers. I, too, have suffered from “beginning writer’s syndrome” from time to time over the last 20 years of my serious writing. One of my friends recently told me she’s lived through all ten points, and sometimes still does; yet, she’s still writing faithfully. Kudos to her! Every once in a while one or two of these evil little entities listed below will poke their ugly heads into my writing business, attempting to throw a monkey wrench into my creative machine. But the key is to keep pressing on. Let’s look at this ridiculous beginner’s list a little more closely. I’ve made some comments after each one so you will know my opinion about each. Never read any books in the same genre in which you are writing. After all, you don’t want to steal another author’s voice, style, or story! Well, it doesn’t mean you can’t read Peanuts in the newspaper or an old Nancy Drew mystery that you find in your attic, for crying out loud. Write when you feel like it, even if the radio or TV is blasting or your family is demanding supper. Sometimes when the noise level is at its highest might mean writing time for you. If the kids are fighting in the bedroom and hubby is blasting the ball game on TV, at least they’re all busy. Grab your laptop, run for the closet, and go for it! Without trying to publish anything else, start writing the Great American Novel that has plots, subplots, foreshadowing, and complicated characters. Rarely does a newbie begin with nothing else but a book manuscript and get it published right off the bat. It does happen, but probably one out of five million. There’s SO much to learn before tackling a book project. Work on short stories if you like fiction and articles if you’re a nonfiction writer. All those little nuggets will teach you proper style and good grammar to help you with your book idea in the future. Start your fiction manuscript with five pages of narration and description from five points of view. Have 600 pages in your manuscript. Bad idea from the get go! Modern-day readers, and editors, have no patience with authors who emulate the writing style of many of our classics from yesteryear. Our reading society today wants action, action, action! And quick, quick, quick! Develop a boring plot with no climax, characters with no depth, and dialogue that is flat and the same for all your characters. I think you would be better off applying to write obituaries for your local newspaper. Don’t seek any help from anyone or anything like a critique group, “how-to-write” books, or writers’ conferences because God told you to write, what to write, and how to write it. Honestly, I’ve crossed paths with a number of newbies who have this attitude. But God is not the author of bad grammar, poor spelling, or lousy sentence structure. Any work written in His name should be at its finest quality. Get help! Send your manuscript everywhere without querying first. Buy the Writers’ Market Guide, start on page 1, and don’t stop until you get a sale! You might get a sale by 2020 if you go this route. Better still, here’s a big tip. Study the market. Find out which publishing companies want what you’re writing. Work on an eye-catching query letter and send it to five or six editors at one time (Label each “MULTIPLE SUBMISSIONS”). As soon as you get a rejection, send another query to a different company. Make a list and check off the companies as you query them. By the way, if you send queries or proposals to more than one company at a time, let me say this again: Be SURE to label your paperwork at the top with this very important notice: “MULTIIPLE SUBMISSIONS.” If not, and you get two publishing companies interested in your work at the same time and they don’t know you’ve contacted other companies, the editors will be HIGHLY irritated and you’ll probably be added to a black list. Editors do not want to hassle with an author over who gets to read the manuscript first. Word gets around in the writing/publishing business of greenhorns who “don’t know what they’re doing,” and you might forfeit your opportunity to earn a contract from a very reputable company. Oh, my goodness. All my editor friends tell me these techniques turn them off immediately. These ploys are a sure sign that they are dealing with a newbie and won’t give the project a second look. Send your very first draft of your very first manuscript to a different editor once every six months then go into deep depression when it’s rejected. While you’re writing your manuscript, send out queries. And while the queries are circulating, write an excellent proposal. Unfortunately, it sometimes takes from three to six months to hear from any editor if he/she notifies you at all, so you can’t sit around waiting for just that one response. And get use to rejection letters. It’s part of the writing/publishing business. Throw away all rejection letters, including those who suggest changes or editors who would like you to submit other work. After all, if the editor didn’t like your first manuscript, he/she won’t like any of your other stuff, and if you make suggested changes in anything, the manuscript won’t be “your” work anymore. If you’re dead serious about being published, take my suggestions and run with them. Then let me know when your work is accepted, and I’ll rejoice with you. How long have you been writing? How long have you been thinking of writing? I’ve crossed paths with many folks who had the best intentions to write. In fact, some of them have really great ideas, and they talk and talk about their ideas, but some of those potential writers have never put one word on a page. Hopefully, you’re not that kind of “writer.” You’ve already dived in, head first, and are trying different genres. You play with words like your dog plays with his chew toy. But do you ever get discouraged? Have you tried for years to get published, but you’ve never gotten to first base? Do you get offended when someone tries to help you with your manuscript after he/she reads it? Do you keep revising the same manuscript without starting to write any new ideas? Do you always let other chores and responsibilities crowd out your time to write? Are you considering paying a “Vanity Press” big bucks to get your work in print without hiring an editor to revise it and make it publishable? Have you stopped reading “how to write better” books and books in the genre in which you’re interested because you know all that stuff? Have you sent your manuscript to at least five different publishing companies, but all you have to show for it are rejection letters so you’re not submitting anything anymore? Are you jealous of friends who are getting published and you have trouble sharing in their joy? Do you have trouble finishing any project and you have about twelve good ideas started? Would you rather be doing the laundry or digging weeds instead of writing? Do you have to force yourself to pick up your pen or sit at the keyboard? Maybe it’s time to evaluate your commitment to the writing/publishing business. It took 10 years for me to get my first book contract after I started publishing poems, short stories, and articles. I needed to learn the craft! It takes intestinal fortitude and patience! Patience! Patience! Next time, I’ll address some of the issues mentioned in the list above. Only you can answer the questions above and determine which way to go with your writing venture. Pursue or quit? It’s your choice. Well, what do you think? Do you have that burning desire deep inside your gut that makes you want to write and get your ideas on paper, or are you a paper pen tiger with no guts, no ambition, or no desire any longer to write? How passionate are you about your projects? how to ride Western when he had already learned English. He won’t listen to anyone then takes off with a horse and gets lost in the woods. Want a delightful read to get you in the mood for Valentine’s Day?